All Rockpool Kayaks are custom built. You may select from landed inventory or order for delivery to come. If you order, you may customize at any RAL color or colors of your choice except Pearl or Luminescent colors which are not available. You may add starfish or other graphics available as well as the location of same and fades for colors. The distance of the front bulkhead may be varied. All this at NO UPCHARGE. Talk to us. We have in Shop videos showing a large number of the variables which you may select. Finally, all Rockpool boats are available in take-apart three piece versions for an additional charge of $1200. Think one won’t fit in your SUV? Think again. The ALAW emerged from the Rockpool factory as the first of a new generation of high performance, fast and comfortable sea kayaks. It is a refined mid-volume sea kayak which combines good levels of speed, manoeuvrability and stability.This is a boat that happily fits into the role of touring weekend boat but has a liking for playing around in the surf and tide races. The ALAW BACH demonstrates a refreshing combination of stability, speed and responsive handling. It is an easy going, forgiving boat but with the ability to glide through the most testing conditions and put a smile on your face. It is a sleek, modern, high performance sea kayak that will suit most tastes. The design philosophy behind the ISEL was to provide a boat designed to fit the smaller paddler with a snug fitting cockpit, excellent handling and enough speed to keep up with the group on the water. The ISEL has an updated deck layout and though the deck has been lowered to give a better cockpit fit, it still has a good load carrying capacity. The hull has been updated to improve handling yet further. The Menai 18 hull was formulated to tick off the miles quickly while carrying a serious load of expedition kit. Though this is a large boat, the flat centre section of the hull allows for good manoeuvrability on the spot or in the surf. The cockpit is large and roomy to make sure you are comfortable over those long trips, with a day hatch on the front deck to make it easy to gain access to all those little essentials! The G.T. is a high volume sea kayak that is fast and especially easy to manoeuvre, combine this with predictable and precise stability and you’ve got a sea kayak that handles like a dream! The hull can carry a significant expedition load but is designed to be as manoeuvrable and nimble as a smaller kayak. The cockpit is roomy for good levels of comfort on long trips and the front day hatch makes it easy to access to all those little on the water essentials. The G.T. is ideally suited to the ‘one-boat’ role; equally at home for expedition paddling, weekend touring or day trip paddling. The Taran brings a radical new look to the Rockpool fleet, it is fast and sleek but with friendly handling characteristics that will please. 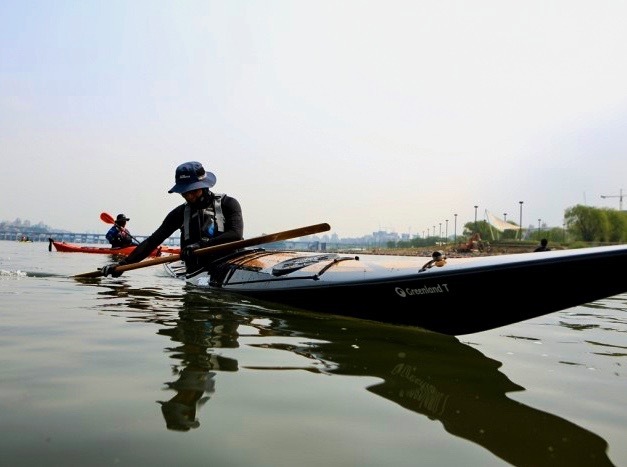 It is designed for the intermediate to advanced paddler and steps away from the look of the conventional British sea kayak to give the high performance that modern paddlers are looking for.The Taran is a sea kayak that covers a multitude of roles: Day boat, Distance Cruiser, Weekend Tourer and Fitness Training through to Expedition Boat. It even has a reputation for setting records and winning races. The more we paddle it the more we find it can do! Length 18 feet 0 inches (549 cm) | Width: 20.5 inches (52 cm) | Volume: 383 litres. The Taran 16 does everything its big brother does but in a slightly shorter fashion! Cockpit and deck layout are the same as the full size Taran but the overall length has been reduced. This gives even more manoeuvrability and a nice smooth ride over larger steep seas. The 16 is a fast boat that you can throw about.Stepping away from convention once again, speed has not been reduced – the 16 is not going to live in the shadow of its big bother. The trademark downwind handling is still there too, combined with excellent surf handling. The 16 really comes to life with a nice wave to surf! Length 16 feet 8 inches (508 cm) | Width: 20.25 inches (51.5 cm) | Volume: 369 litres. 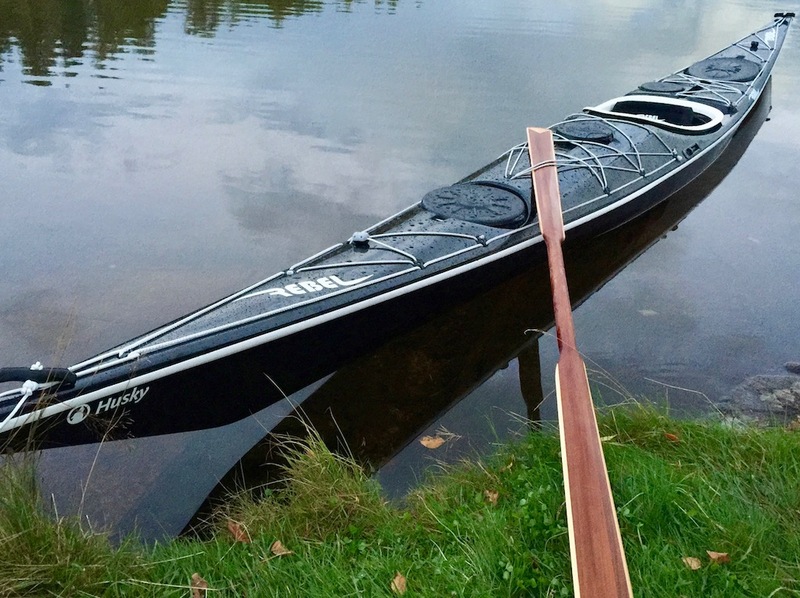 Rockpool Kayaks has added a new low volume kayak to its fleet – the Tarantella. Two years after the Taran 16 was launched to critical acclaim, the Tarantella 312 litres has been designed to provide a true low volume version of the record breaking design. Developed in response to popular demand, the Tarantella is designed specifically for smaller, lighter paddlers. 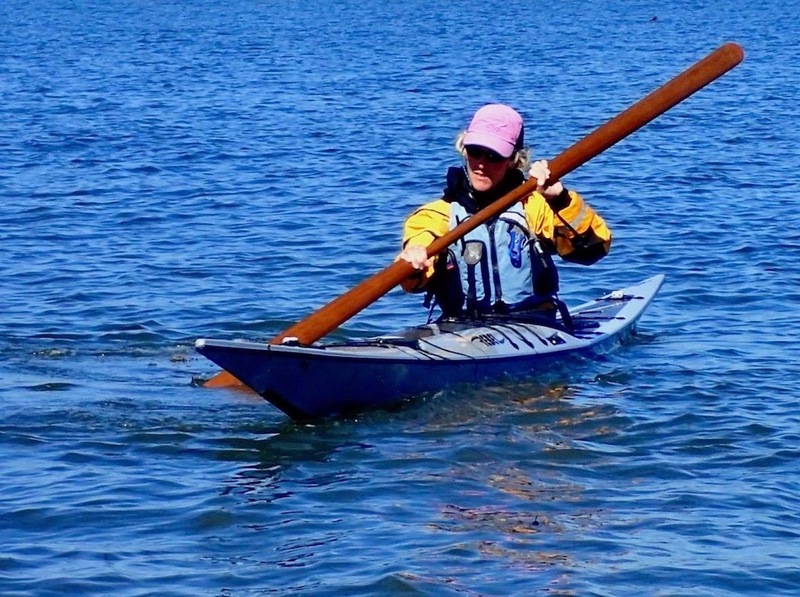 It features the same distinctive bow, long waterline, high front deck and flat hull making it a fast, dry kayak to paddle both up and down-wind. All Rebel boats can be done in custom colors, different bulkhead placement, alternative seats or no seats and no foot pegs on request. Designed by Johan Wirsen, the Rebel Ilaga displays beautiful, clean lines. The Ilaga is a low volume Greenland style kayak with an ocean cockpit. It features an integrated foldable laminated backrest for layback rolls and to give access to storage between the back rest and rear bulkhead. It also features steel rods for roof rack security or tow line mounting. Available in three layups, four stock colors as well as custom. Price: Standard layup: $3300 | Carbon/Kevlar $3800 | Full carbon $4200 | plus local taxes as appropriate. One of the essential design objectives for Naja was to create a Greenland kayak that the designer could not get into. Naja was built with smaller-framed paddlers in mind, especially women. 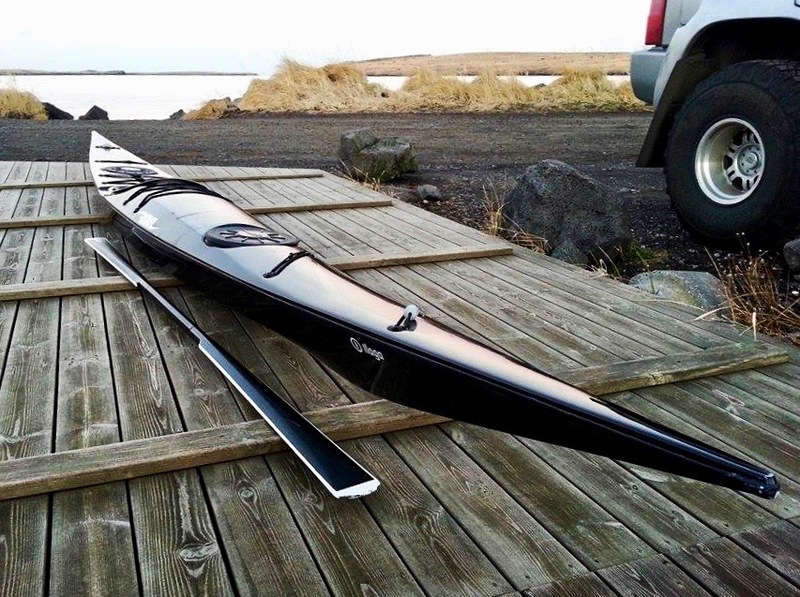 This composite kayak could be called Ilaga’s “little sister”. Naja is shorter, narrower, and shallower than Ilaga, and has an audacious spirit all its own. It’s quick and responsive, and rolls like it never wants to stop. Price: Standard layup; $3100 | Other layup prices on request | plus local taxes as appropriate. The Greenland T and TOC feature classic lines and a hardchined hulls. The front deck is low enough for paddler contact to aid maneuverability and forward rolls, while the rear deck makes for easy layback rolls. There is an extra cord on the rear deck to store a storm or a spare paddle. The Greenland T and TOC have laminated backrests that connect the seat with the top of the back rim. The backrest can be folded to access extra storage. Steel security rods are placed behind the rim for locking the kayak to your roof rack or for a towing system. Price: Standard layup; $3150 | Other layup prices on request | plus local taxes as appropriate. A moderate rocker and more symmetrical hull-shape make Husky a playful kayak. With a hard chine and flat V-shaped bottom, and fine ends towards bow and stern, it’s made to maneuver. It has a low profile and is very easy to roll. It features stainless steel rods for a towing system or for roof rack security plus has multiple decklines for all of your gear. Price: Standard layup; $3300 | Other layup prices on request | plus local taxes as appropriate. We have Used kayaks – in really excellent condition -NDK boat, model ROMANY, built 2007, on water about 2008/9. slightly used; excellent condition; Skeg, Footpads, #2 seat and backhand. One of the very best boats for all paddlers developed and built by Nigel Dennis. It is in the Shop for viewing and sale. AS IS. Great Boat!